According to the buzzy factoids that bombard my FaceBook feed, there are three types of tears: basal, reflex, and psychic, the emotion-based tears. 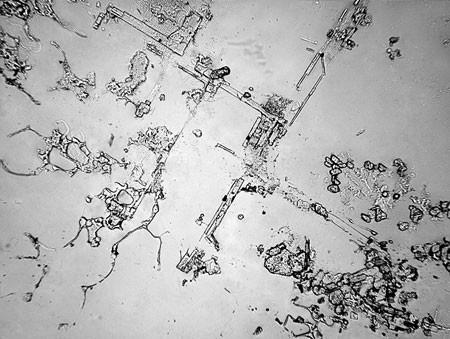 Psychic tears have a chemical composition that includes protein-based hormones that function as a natural painkiller. That is why it is such a cathartic release when we are able to cry. I cried a lot when my mother died. I was so sad to see her die. I was so honored to be with her when she died. But it was and is my father’s overwhelming grief and anguish that breaks my heart. This from the awkward and undemonstrative man who never cried. Like the Swedish farmer joke, he loved his wife so much he almost told her. After she died, I had to return to my busy busy life, making lunches, pleasing clients, doing laundry. You know, the important stuff of life. My family, my friends, my colleagues offered genuine sympathy, hugs, love, and support. I was surprised and so, so moved at the outpouring from all walks of my life. But I didn’t cry. Even though I was sad, it felt like it was time for her to go. Even though I felt her loss, it was a relief. Then one morning on my way to work, I ran into a casual acquaintance on the street. When I told her that I had recently lost my mother, she wrapped me up in a big bear hug. I cried. I hardly know her! Somehow the spontaneous hug and this sense that she knew deep in her soul what it was like to lose your mother brought out the release. After that, everything set me off. Arranging for donations to my mother’s alma mater, I cried speaking to the young woman on the other end of the phone, a stranger who was probably a current college student, as I told her the story of how extraordinary my mother was, earning her Ph.D. in 1950. I am still holding it together when I’m with my most loved ones. Why? Too embarrassed? Afraid of judgment? Am I not allowed to cry? Afraid I will fall into an uncontrollable abyss? After all, my days of being depressed are behind me. I am not going back there. But. Shouldn’t we be able to cry with the people with whom we are most intimate? Why do we put up our guard? The risk of vulnerability is greatest with the people who know us best. If we didn’t have good emotional role models then there is even more reason to perfect that suit of armor. It is through writing and journaling, yoga and meditation that I feel I can peel away the layers of armor and reveal my hidden self, emotions and all. When I reveal what is hidden, I connect. It is these moments that remind me that we are all connected and that the love between people can occur anywhere. With all the complicated bonds and history behind family relationships, perhaps it makes perfect sense that honest, emotional, spontaneous connections are easier with strangers. Maybe the delineation between family and friends and strangers needs to soften. How can we change the habits and patterns grooved into family life so that honest, emotional, spontaneous connections can happen with family and friends? This Christmas, I want to be more open and emotional with my loved ones, showing them my heart and giving them my love. Love is what is sacred and holy. Merry Christmas. May you shed beautiful tears. Photo Credit: Deep thanks to Rose-Lynn Fisher for the use of her beautiful photo of beautiful tears, Tears of Grief. When I got word that my Dad died I was in the middle of lunch service, and held it together with great effort. No one was going to notice; the show must go on. It took about 8 years for the tears to come, years wasted holding them in. Then I learned that happiness hides behind the very last tear. Dear Sally – no need to hold the sweet tears back. I find it to be an on-going struggle to let myself cry.